Get ready for the biggest party in Texas, attracting almost 2 million visitors a year to the world's largest rodeo and livestock exhibition. New in 2019? The 2019 Rodeo will add an extra day! It will now run for 21 days from Monday, February 25 to Sunday, March 17, 2019. The special added attraction on the final night will be a full concert by country legend George Strait marking his 30th Houston Rodeo performance. The three-week whoop-de-doo also offers one the country's largest barbecue cook-offs, an annual parade (this year scheduled for Saturday, February 23, 2019), and entertainment spectaculars featuring the country's most popular country music stars. concert at Rodeo Houston on March 17. 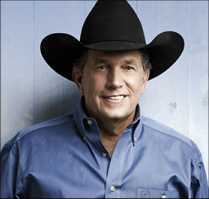 Watch for superstar appearance by George Strait (in his one and only concert in Texas this year). The rest of the 2019 lineup also promises to be a real crowd pleaser. Just up ahead, check out the official lineup that includes dates and performances by this year's A-list of rock, pop and country stars announced in early January. But act fast! Tickets go on sale immediately following the at rodeohouston.com, and all Ticketmaster locations. Of course, the main event remains Rodeo Houston -- offering chills and thrills at riding competitions, steer wrestling and roping, and daredevil bull-riding exhibitions. Houston's population of 2 million also becomes part of the show, as they get into the the spirit of "Go Texan Day" on Friday, February 22, 2019. So get ready to don your best western wear, cowboy hats and boots for the once-a-year celebration. Hungry for some Texas barbecue? Another major part of the pre-festivities is the World Championship Barb-B-Que Contest kicking off that same weekend. On Saturday, things really kick off as the grand opening of the 2019 Rodeo Houston is announced with a big parade on Saturday, February 23rd in downtown Houston. The parade route begins at Bagby and Walker Streets, travels from Travis to Bell Street, and from Bell Street to Louisiana Street, before turning on Lamar Street, and ends at Lamar and Bagby. With visitors coming in from cities coast to coast, Houstoners are joined by thousands of tourists from more than 80 countries who want an authentic taste of "the real America." As a result, during the month of March the city becomes a united nations of visitors encouraged to take METRORail public transportation to the center of all the action, NRG Park. For those traveling by gas guzzler to the event (hey, this is oil-rich Texas, after all!) park and ride lots are available with express service to and from the Rodeo. For those who can't get to the festivities, local TV coverage is the next best thing. For an event this big and grand, local station FOX Southwest goes all out with television specials, and live coverage of top rodeo competitions, Also look for news roundups each night on air, as well as video recaps online featured at RodeoHouston.com each day. • Rodeo Houston dates back to 1931. The very first exhibition actually lost money during its five-day debut that only drew a crowd of 2,000. Since then, rodeo attendance has grown to more than 2 million. • The first downtown parade took place in 1938. The first entertainer was "The Singing Cowboy" Gene Autry, who appeared on stage in 1942. • Texas barbecue is always a popular favorite. But some of the more 'exotic' treats along the midway today include chocolate-covered jalapeños, pickle-stuffed corn dogs, and bacon-wrapped deep-fried Oreos! • Go Tejano Day is a traditional part of the Rodeo Houston concert lineup. It's also one of the most popular in terms of attendance. On March 13, 2016, 75,508 fans showed up to see Banda Los Recoditos and Los Huracanes Del Norte, setting a Go Tejano Day record. • Most recently, the overall Rodeo Houston concert record was set by 75,577 raving fans who attended the Garth Brooks concert in 2018. Rodeo Houston.com - The official site with ticket information, rodeo and entertainment schedule, photos, FAQ and historical information. Houston Livestock Show and Rodeo - Wikipedia - Great overview of the event with photos, information and lists of performers who have appeared throughout the years, along with lots of related references and resources.